Here are some apps that allow you to access and view files from the Cloud. All of the Cloud based storage apps require an account to be set up online and then they can be placed on your PC desk top. Combined they give around 13G of free storage space in the Cloud. Each has an iPad app that allows you to then view/edit files on your iPad. The added benefit is that the information is also stored in the folder on your desktop and can be accessed offline. Any changes you make offline are automatically uploaded to the Cloud when you connect to the Internet. All can be accessed online so if you are somewhere where your computer is not you can access your files online. Click on the app icons below to view or purchase the app from iTunes. Create a Skydrive account and get 7GB of free storage. Then get the SkyDrive app on your iPad to access your Office files on the iPad. Viewing only capability no editing. Create a Dropbox account and get 2GB of free space. A valuable account to have as a lot of apps sync with Dropbox. Get the Dropbox app and access Office documents on your iPad. Viewing only no editing within the app. 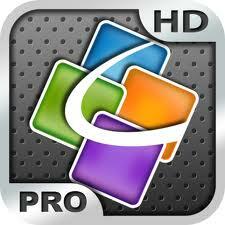 However you can sync to apps such as QuickOffice Pro and CloudOn to edit the documents. Create a Google Drive account and receive 5GB of free space. If you already have a Google account i.e. You Tube or Gmail you can already access Google Drive. Get the app to view only all your Office documents on your iPad. You can sync to apps such as QuickOffice Pro and CloudOn to edit the documents. NOTE: All of the above can sit on your desktop and you can edit all documents fully on your PC which then upload to the cloud and sync with your iPad apps. 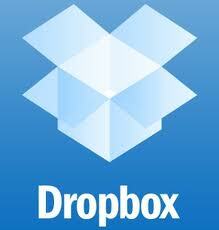 An app for accessing your Office Documents from Dropbox, Google Drive and another cloud storage app called Box. It is a bit clunky and not as smooth as Quick Office Pro but its interface is very similar to Office which is an excellent feature that Quick Office Pro does not have. It saves any editing back to your cloud storage app. Edit and create new Office Documents in this app. 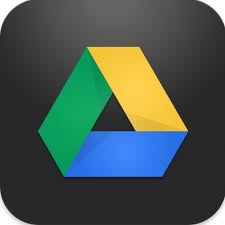 Edit documents from Google Drive or Dropbox or create new documents within the app. Save documents within the app itself or drag and drop them back into into Google Drive or Dropbox to be saved. There is also a function to email the documents off the iPad allowing you to then store the document where you like. The app contains ‘How to’ documents for Power Points and Word but not Excel although it gives you an example document to view. The interface is not the same as Office and requires some time to learn all the functions and how to access them. Once this is done however this is a powerful app. 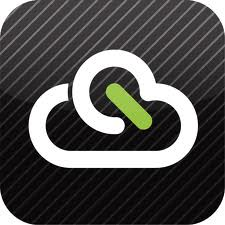 Want to record audio and upload it to the Cloud EASILY? Record a conversation with a student about their work for reference later, get students to record an oral presentation, ask a small group to present their group work by recording audio or share the audio file with parents, teachers, other students by email. This app, as the name suggests, links directly to Dropbox. The only functional button within the app is record/stop. Once stop is pressed the audio is automatically uploaded to Dropbox into a folder called DropVox. All the user has to do is press record and press stop, everything else is done for you. You can then access this audio wherever you can access your Dropbox account.